When I first saw these trees in a nursery, they instantly brought back memories of childhood and growing up in Russia. Both the leaf shape and the colors of maples are so familiar to me… needless to say, decided to try and grow them on my porch. 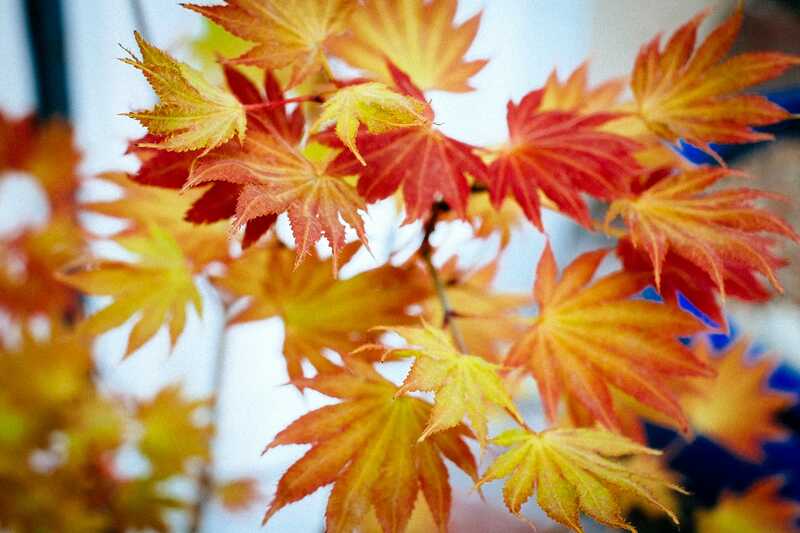 There are many varieties of Japanese Maples. I’ve decided to keep Shaina Acer palmatum dwarf, Emperor 1, Red Dragon and 2 Shirasawanum trees. They are Moonrise and Autumn Moon. I picked them mostly as they are more heat tolerant. Japanese Maple Acer Shirasawanum Moonrise is difficult to grow in San Fernando Valley because of high temperatures. Maple trees require extra care and have to be in the shade for the most part of the day. Also, these are not the typical Japanese Maple because of the leaf shape. I used the tree as a subject in Ted Forbes project. For the last 3 years, growing them in containers on my porch has been difficult. I know there are other maples that are more acclimated to hotter temperatures. I’ve had to move them around to keep them in shade and had to mix special soil. So far, they are getting acclimated and I’ve lost 1 tree because of my stupidy. In Seattle, these maples are thriving everywhere as there is not much sunshine. So, I am awaiting Spring to see the new leafs.